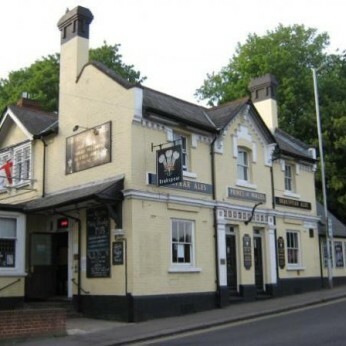 The Prince of Wales Pub, situated on the edge of Caversham, is a cosy traditional style Pub with a modern twist, and is run by the James Family. Jackie and Andrew come from a family of publicans that started in the trade in 1962 at the Lamb Tavern in Islington which was an early morning house on the edge of the cattle market in the centre of Islington, North London, (Yes! There actually was a cattle market in London right up to the mid sixties!) Since then Jackie and Andrew have run pubs in Camden Town including The Devonshire Arms and The Engine Room, both of which were frequented by many famous musicians and actors through the years. Now, Jackie and Andrew are delighted to be running the Prince of Wales in Caversham since 2014. You can be assured of a warm welcome in a relaxing atmosphere, which is very popular with the local community and local businesses of Caversham and greater Reading. So why not drop in? With a great drink selection on offer, a big screen, heated patios, a beer garden and a garden bar, the Prince of Wales Pub is the perfect place to relax with a cold (or hot) beverage or to grab a quick bite while visiting the quaint suburb of Caversham.. The Jazz and Blues Week is the perfect way to liven up your November, taking place Friday 9th to Sunday 18th 2018. Live music with the talented and local singer musician Nicole Allan and her trusty guitar from 8:30pm.